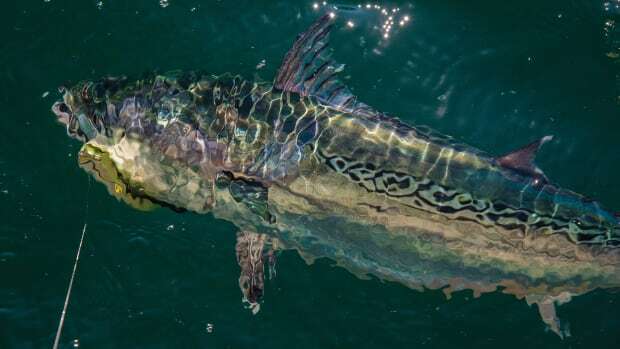 You might consider landing a marlin to be nothing special, but I am English, and this sort of thing just doesn’t happen to an Englishman, let alone to one fishing from a kayak. There were two of us the day the whole thing began, both of us middle-aged gentlemen from a small town in the middle of nowhere. It was October in England, and it was raining, as is the norm in our part of the world. The conversation turned to fishing — kayak fishing, which is what we do. 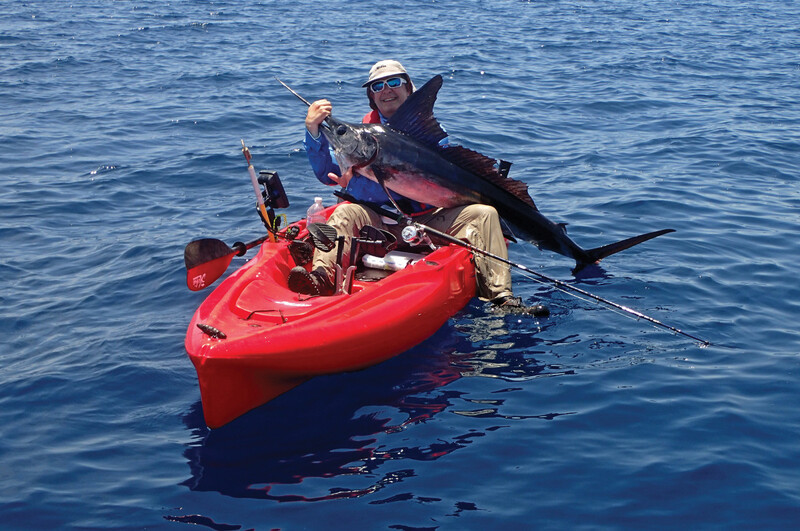 “I wonder if anyone from England has ever caught a marlin from a kayak,” Steve said. He knew fine well where his musing would lead, and so did I. About eight months later we boarded a plane at London’s Heathrow Airport and headed to Mexico, to Rancho Leonero Resort on the East Cape of Baja California. And that’s where we met “Big Eddie,” the man who arranges the fishing at the lodge. 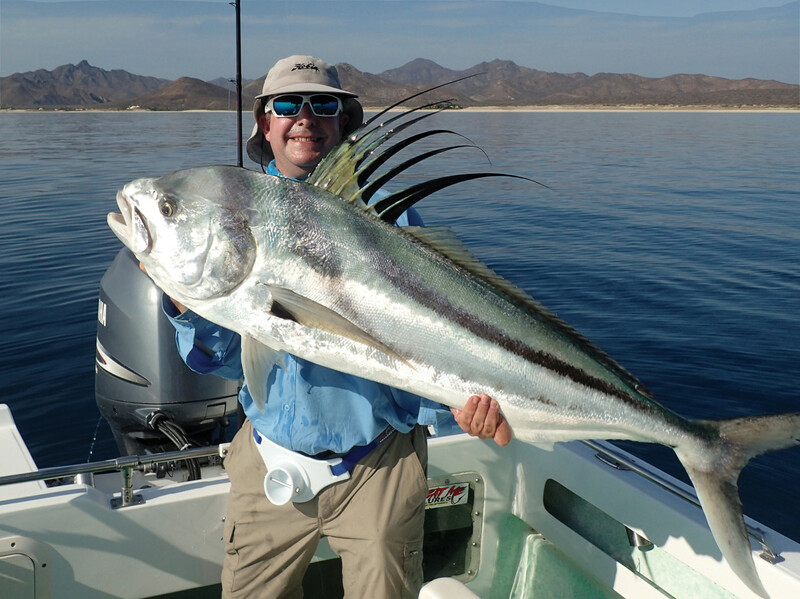 Harris took a nice roosterfish from a panga. 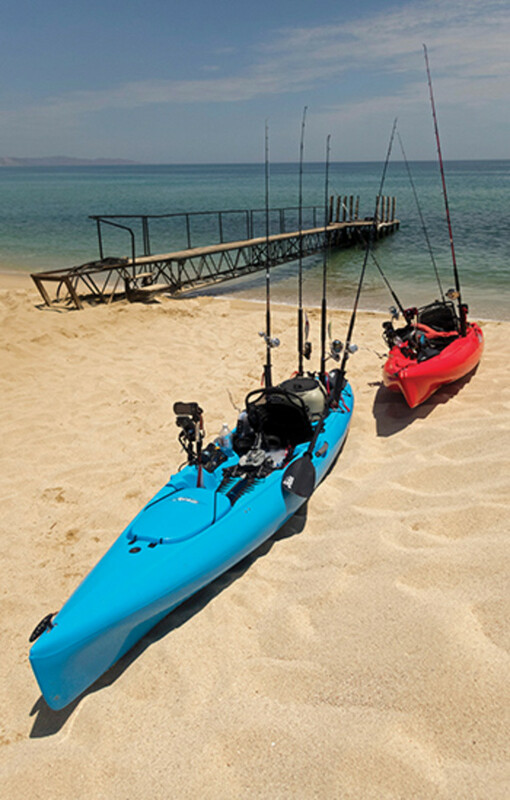 The kayak fishing “fleet” at the ready. Steve is a stonemason, and I work with computers. 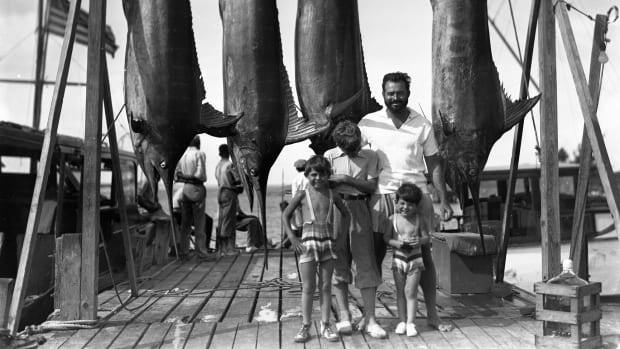 We are about as far from the Hemingway stereotype as one can get. We spent months preparing for the trip, including selecting a place where we could fish from Hobie kayaks, which we use at home. The following morning, a pair of Hobies sat on the beach, waiting for the pair of crazy Englishmen. Things began slower than in our dreams. On our first day, we trolled diving plugs off the beach and over some small reefs from the kayaks, but they largely went ignored. The second day, we fished from one of the lodge’s pangas with a captain, deep-jigging and slow-trolling bridled live baits. Much different results. We caught two striped marlin, a Pacific sail, and I landed a roosterfish that weighed more than 50 pounds. To my eye, roosterfish are one of the most incredible-looking fish in the world. 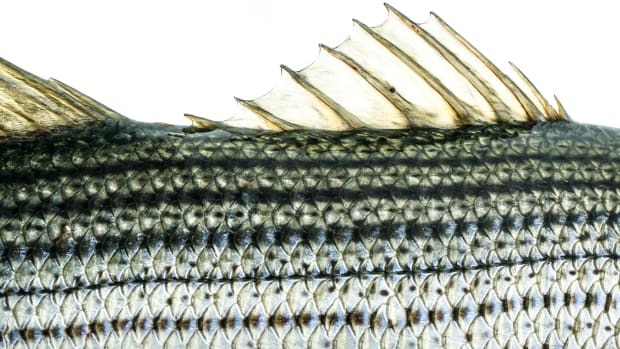 Their dorsal fins bristle with attitude. It’s a fish I’ll remember for a long time. We remained intent on getting back out on the kayaks and finding some action. The previous two days convinced us that the best plan would be to fish live bait several miles up the coast. Big Eddie made that happen. 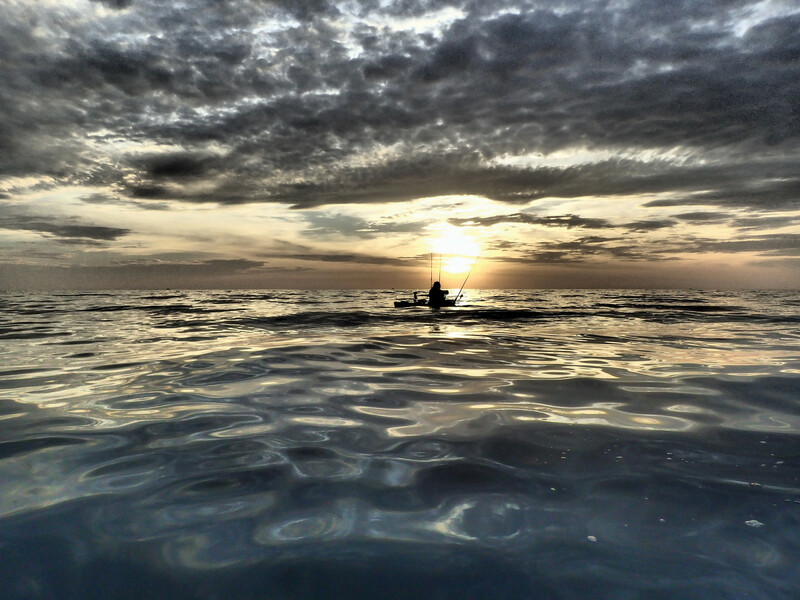 The next morning, while the rest of Mexico slept and the sun slowly eased itself above the horizon, a skipper hoisted one of the kayaks aboard his panga. We motored along the coast to pick up live ballyhoo and mullet from local fishermen. Then it was on to an area where I caught my big roosterfish. I abandoned the panga and added a few baits to the kayak’s live well. Steve and the skipper waved goodbye and sped away, leaving us connected by portable VHF radio. I was a little nervous, but conditions were perfect. The sea was mirror-flat, with scarcely a breath of wind. In the distance, a bat ray breaks the still waters. I rigged a mullet and trolled it slowly behind the boat. I had seen a few fish break the surface, but for the next couple of hours things were pretty quiet. And then out of nowhere a fish grabbed the bait and sped off with a power that was something to behold. Well-hooked, it towed the kayak until, after what seemed like an eternity, I gained some line, only for the fish to dive under the boat and swim in circles. I was using 30-pound-class tackle, but I struggled to control the fish. What had I hooked? After more than 30 minutes the fish started to tire, and I worked it up to the kayak. I finally slid a silvery white-sided fish with a round head and a black spot on its gill cover aboard. It was too big to keep on the kayak, and it certainly wouldn’t fit through the front hatch. I radioed the panga to explain my predicament. From my description, the skipper guessed it was a big jack crevalle and said he was on his way to help. A few minutes later, I glimpsed the panga. When the boat was about 100 yards away, I heard Steve shouting. He and the skipper were waving their arms. The panga speeded up as it approached, and Steve shouted, “Get ready to jump onto the boat!” I remember thinking this was a bit odd, but there was an air of urgency in both of their voices, so I did as I was told. Steve grabbed my hand and hoisted me aboard. “Look behind you!” he barked. About 50 yards behind the kayak, a large shark was thrashing on the surface. “From the kayak?” I replied. I was excited — this is what we’d come for. We were still close inshore when we relaunched the kayak into the clear water with a splash. I jumped in and took both rods with me, as well as some fresh ballyhoo. The tide was a bit stronger here, and I was trolling at a decent speed. Soon the panga was a speck in the distance. 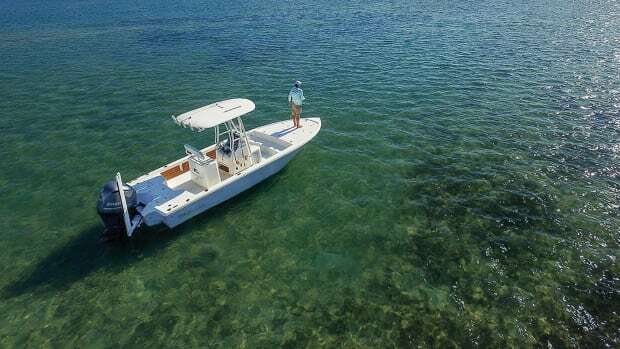 I was using the lighter of the two rods, and I thought, after a time, that prudence dictated a swap to the heavier three-piece travel rod with 30-pound braid and a 50-pound fluorcarbon leader. I popped the lighter rod into the flush-mounted holder, with the ballyhoo dangling in the water next to the kayak, while I baited the heavier outfit. I flicked out a ballyhoo and watched it start to swim. A few moments later, it started moving erratically. A shape appeared from nowhere, and a large fish snatched it. The reel was on ratchet but made no sound. Time slowed to a standstill. I stared transfixed, my brain on idle. I could see the fish with the bait in its mouth, shaking it from side to side. My brain resumed normal function as the fish started to swim away with its prize. I slipped the reel into gear and, with a low drag setting, pointed the rod at the fish as it accelerated. The fish felt the circle hook press home, and all hell broke loose. In a crescendo of glittering spray, the sea opened, and a striped marlin thrashed itself clear of the water, only yards from the kayak. This was real. This was happening. The marlin and the Englishman were connected by a short length of line. As I tried to compose myself, a commotion broke out at the side of the boat. I peered over just as my kayak was jolted violently. A second marlin crashed into it, attempting to grab the live bait left in the water off the lighter rod. This fish was so close I could have touched it. It grabbed the ballyhoo like a creature possessed. 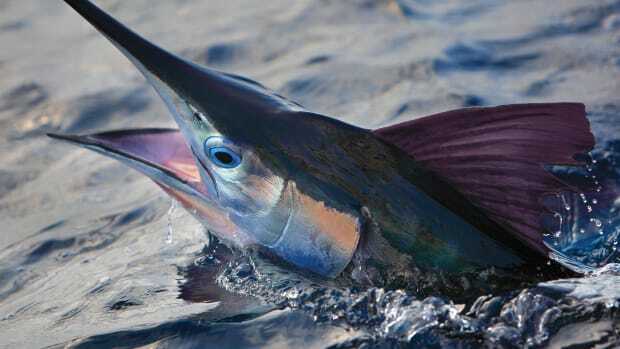 The first fish stripped line from the reel in my left hand, and the second marlin disappeared in the opposite direction, bending the rod in the holder. There was no script for this. I was hooked into a pair of stripies! I eased the second rod out of the holder with my right hand and held both rods high. 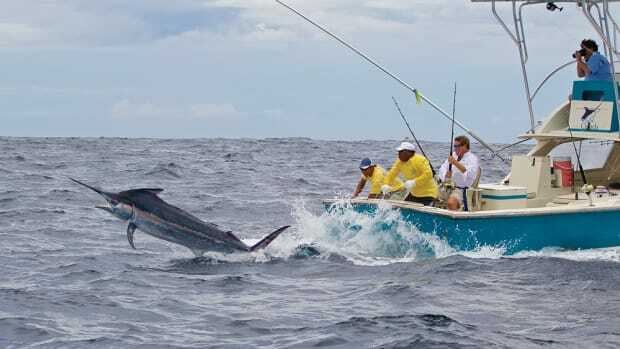 The marlin ran in opposite directions. I must have looked like action figure Stretch Armstrong. As line emptied from the reels, I realized there was no way I could land both of these powerful fish by myself. I scanned the horizon and saw a few boats, but they were too far away to help. I wedged one rod under my leg and stretched to reach the VHF. I can’t recall what I said, but it probably made no sense. Within seconds, the closest boat rushed toward me. As Steve came alongside, I passed him a rod and wished him luck. 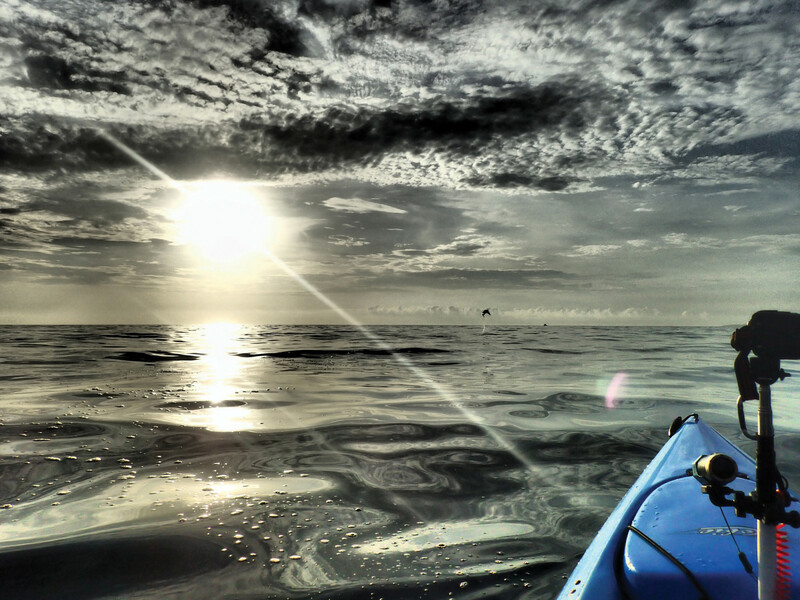 “See you later!” I shouted as the kayak twisted around and pulled away. I tightened the drag, and the kayak leapt forward on the start of a marlin-powered sleigh ride. 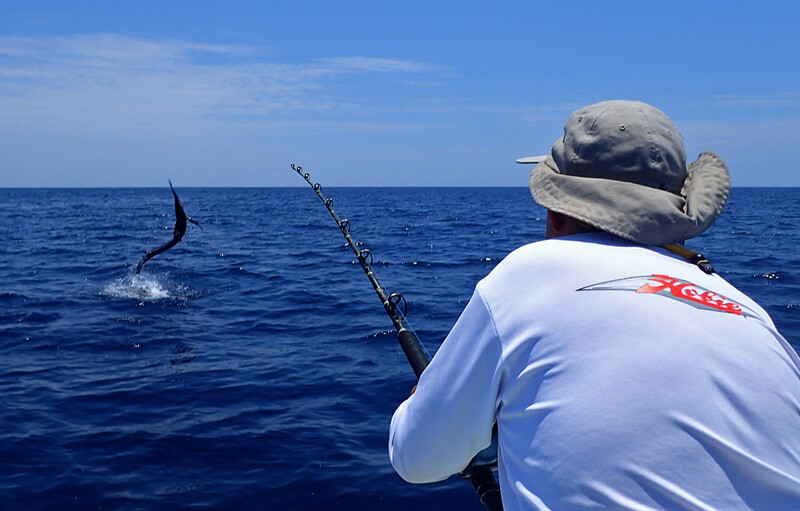 The marlin breached again and again, shaking its head in an attempt to shed the hook. Sometimes it seemed as if the fish hung in the air for an age. And it was intent on towing me offshore. 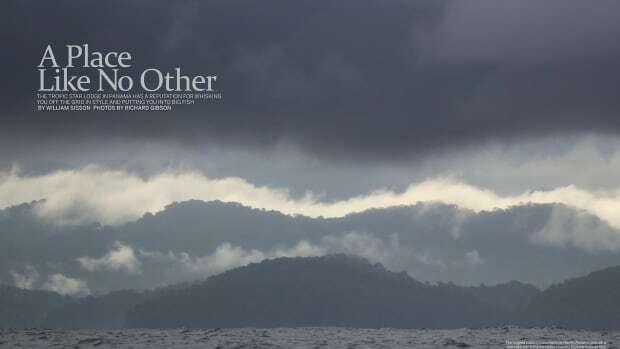 At one stage, I saw a large sportfishing boat cruising in the opposite direction. I still remember the faces of the anglers staring at me from the bridge, looking on with a mixture of bemusement, shock and amazement as I waved and sped along. After what felt like a lifetime of hurt, I tightened the drag and started to gain on the marlin. Eventually the fish tired, and I felt I was winning. Now I had to figure out how to land and release it. The panga reappeared just in time. 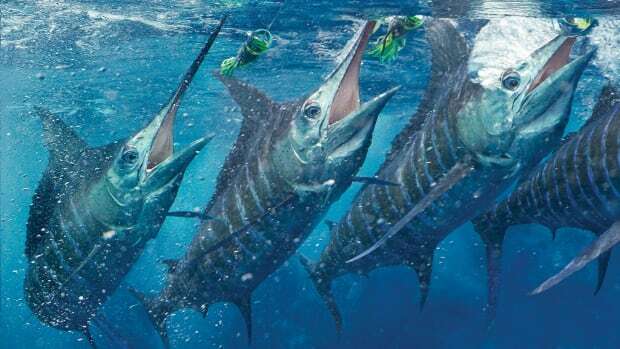 Steve had lost the other marlin at the boat, but he’d grabbed the leader, so it counted as a catch. I managed to get my marlin alongside the kayak. I grabbed the fish and eased it across my lap so Steve could take some pictures. I unhooked it, and the skipper helped release it. I felt quite emotional as I watched the marlin return to the depths. Steve had told him that my nickname in England is “Dizzyfish,” and after that everyone called me Dizzy. El Dizzy was a name that would stick for the rest of our stay in Mexico. That evening in the bar, the tequila flowed, and there was a lot of talk about El Dizzy and his marlin. Even Big Eddie was impressed. 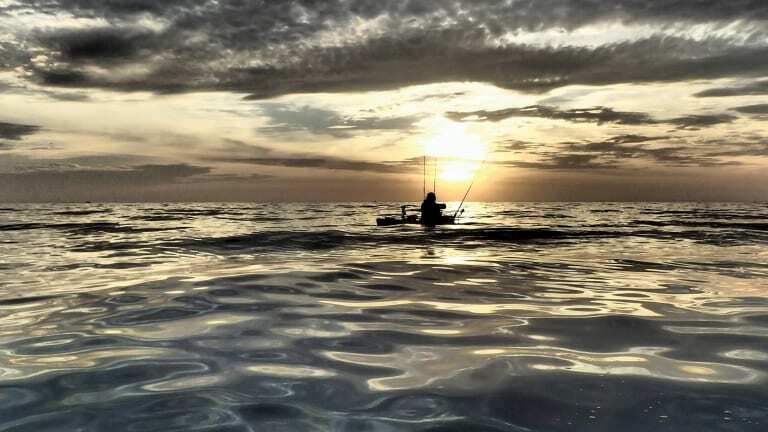 A kayak angler moves in silence off Baja as the panga “mothership” departs. Travel with us in this photo feature to the venerable Tropic Star Lodge in Panama, which has a reputation for producing world record fish. 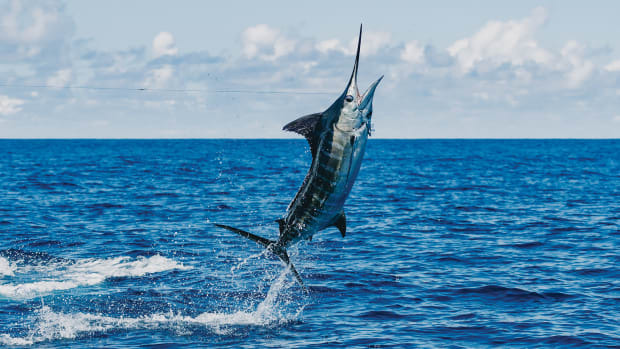 White marlin fever draws thousands of newbies and seasoned anglers to the Mid-Atlantic, the epicenter for summer marlin fishing.